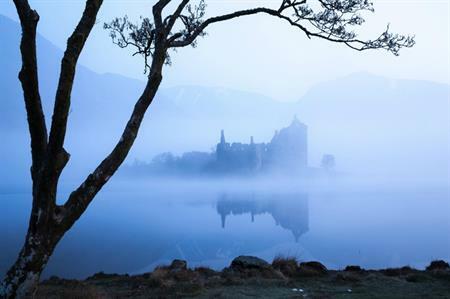 With Halloween around the corner, the Business Events team at VisitScotland is gearing up to host its annual spooky-themed 'soirée' in London. The invitation-only event takes place at Home House on 29 October and will see venues from across Scotland showcased to 50 London & south east-based MICE buyers. The Scottish businesses represented at 'Spooky Soirée' will be Fairmont St Andrews; Glasgow Science Centre; Gleddoch – Hotel, Spa & Golf; Mercat Presents; Sheraton Grand Hotel & Spa; The Balmoral; The Beardsmore Hotel & Conference Centre; Trump Turnberry, a Luxury Collection Resort; Victor & Carina Contini Events; and Winton House. Mihri Miralem, account development manager in VisitScotland’s Business Events team, said: "Our London events provide a great platform for Scottish businesses to network with influential event organisers from the key London and south east market. This event has always proved extremely popular and we are looking forward to another hugely productive and enjoyable evening." As part of Scotland’s Year of Food and Drink, guests at the soirée will enjoy some of the finest food from Scotland’s natural larder. The London and south east is a key market for Scotland’s Business Events industry, with a third of VisitScotland’s UK & Ireland enquiries coming from this market.